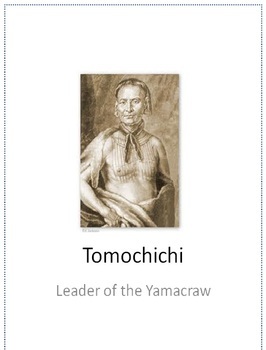 This PowerPoint contains information on the life of an important historical figure, Tomochichi, in Georgia history. There are many hyperlinks to definitions, visuals, and more information to ensure student engagement and understanding. 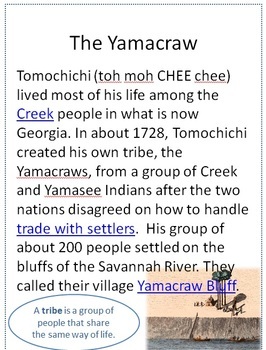 Use as a whole group lesson or in a center. If you like this presentation you will also want to check out my presentations on James Oglethorpe and Mary Musgrove.